Should Kiva Lenders take on currency exchange risk? “Apparently women entrepreneurs are able to raise funds more quickly than men in the world of Kiva,” wrote Peter Tashjian in his recent post. Peter confirmed what I had long suspected. Through lender pages and meetings with other lenders, it seemed that Kiva’s women entrepreneurs had more of a following than men. Many Kiva Entrepreneurs I have met took up business to earn money to support their families. Some previous work didn’t pay enough. But in Tajikistan, micro-entrepreneurship has big competition when it comes to supporting the family. The rival is employment in Russia. As part of the Soviet Union for over 60 years, many Tajiks speak Russian. They can enter Russia without a special visa. With limited job opportunities and lower wages in Tajikistan, Russia is the obvious way forward for a lot of Tajiks. Beeline, a mobile phone operator, airs commercials where a small boy asks “When will daddy call?” as his mother tucks him in. Then the phone rings – you see daddy calling with images of Russia in the background. Everyone is happy. The music video for “Ota ma Russia daay” (Dad’s in Russia) by Firdovs Alivod. Although the tune is cheerful, the words and images aren’t. Dad goes to Russia – maybe for 3 years. Fatherless boy gets beaten up. Mother cries and runs out of money. 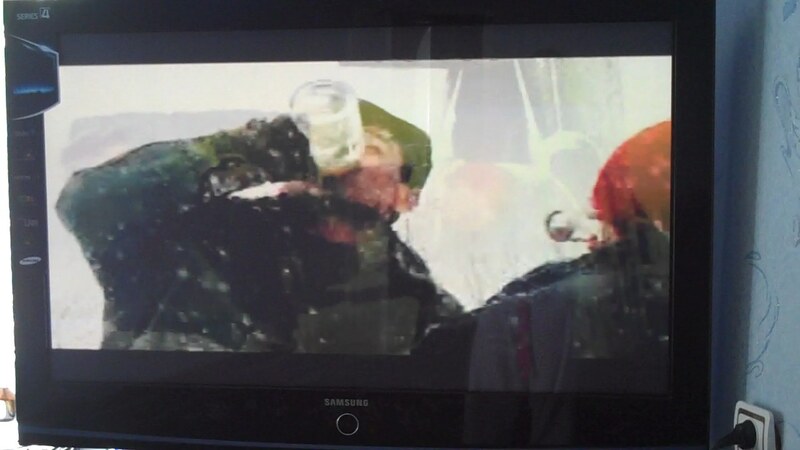 Dad passes out in the Russian snow after too much vodka. The statistics are nonetheless impressive. 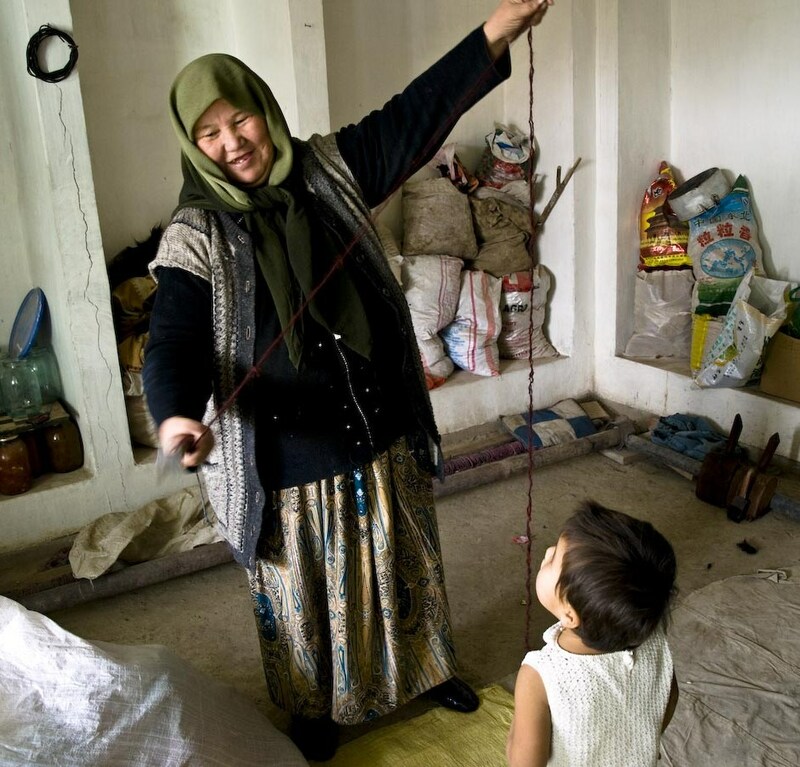 Tajikistan’s population is about 7 million. Estimates of the number of Tajiks living in Russia vary from 600,000 to 1.5 million, with a recent Irex paper putting the number at 800,000 (or roughly 10% of the population) for 2009. Remittances (from Russia and other countries) exceeded 50% of Tajikistan’s GDP in 2008, with Russia as the largest source of remittances (as per this World Bank report). Almost every family I have met here has at least 1 family member studying or working in Russia. Some go for several years. Some go and settle there. Some go seasonally, maybe staying for 6 months and then coming home for 6 months. In Russia, you can make triple what you can in Tajikistan. And it is addictive. During the economic crisis, many Tajiks working in Russia lost their jobs and returned to Tajikistan. But, even if they could find work in Tajikistan, it was difficult to adjust to the reduced salary. “Good men.” Good men go to Russia, make a lot of money, and send it home regularly. They come home and often times build or buy a house. “Bad men.” Bad men go to Russia and neglect their responsibilities at home. Sometimes they get married again in Russia, stop sending money home. One article describes how some men even divorce their wives via text message, leaving wives (and probably several children) with little economic possibility. 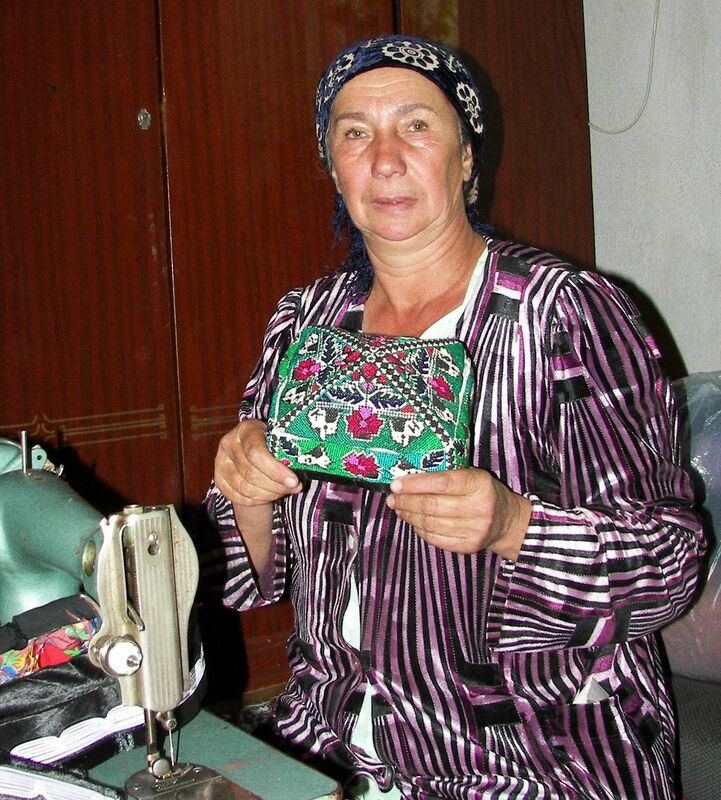 Before becoming a Kiva Fellow, I had a soft spot for Tajikistan’s male borrowers. These men were struggling to make a decent living at home in Tajikistan. I thought their relationships with family weren’t strained by months of separation. By lending to them, I thought I was helping the whole family by enabling them to stay home. But my recent borrower verification has shown me that Kiva Entrepreneurs are not “immune” to Russia. While visiting borrowers, I met one entrepreneur whose wife had left for Russia and decided not to come home. I was also scheduled to meet another Kiva Entrepreneur, who actually had gone to Russia. I was meant to meet him when he returned home from his rice fields. However, the entrepreneur’s wife called Kiva’s Field Partner to say he had gone to Russia. Although at first glance this situation might seem unusual, this additional income will probably make repayment much easier for the family. In microfinance, multiple income streams are often used to repay a loan. The relation between migration and loan repayments was also explained to me by a branch director from one of Kiva’s Field Partners. He mentioned that, during the worst of the financial crisis, only families with Russian migrants could afford to make the monthly payments. Migration income is not considered when the Field Partner assesses the potential client’s debt capacity. However, when it comes down to actually making payments, it can make a huge difference. For more on remittances to countries where Kiva Entrepreneurs live, see blogs about Kyrgyzstan, Samoa and Nicaragua. *The first question Kiva’s Field Partner and I asked was “how is the loan going to get repaid”. Well, in the meantime, this client’s brother will tend the rice and his wife will pay back the loan. 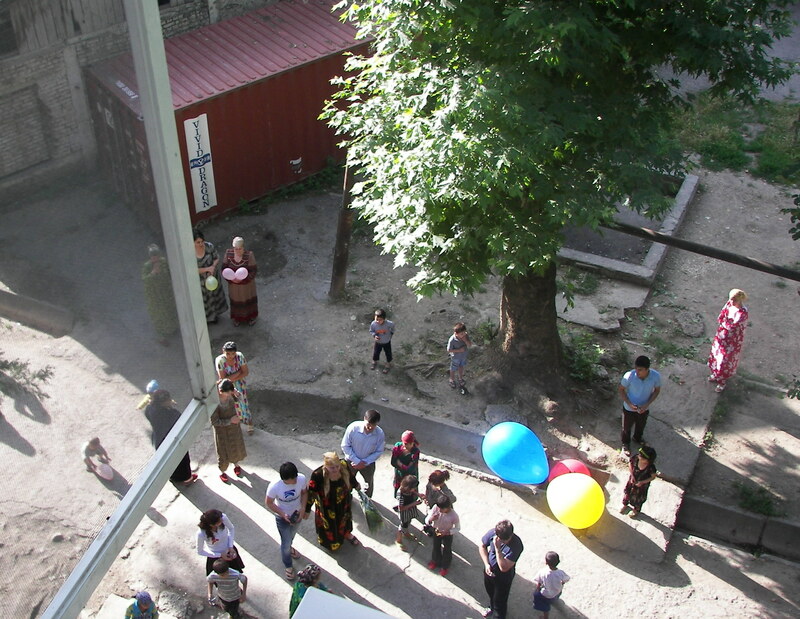 At 7 am the other morning, I was deafened by rhythmic Tajik dance tunes. After squirming around on my floor mattress to try to wake up fully, I opened the window. On the street 4 stories below, one young man was dressed in a suit holding flowers. Thirty odd neighbors were standing around watching, dancing as the songs blasted out. I always assumed that farmers requesting loans on Kiva were carrying on a traditional, family activity. Farming was a profession passed from father to son, from mother to daughter. The same practices were maintained for generations. I didn’t ask any more questions. As I sat down at the living room table, former Kiva Entrepreneur Mavluda Muhidinova hurried to show me her work. 5 plate-shaped pieces of black material were already on the table: work in progress. 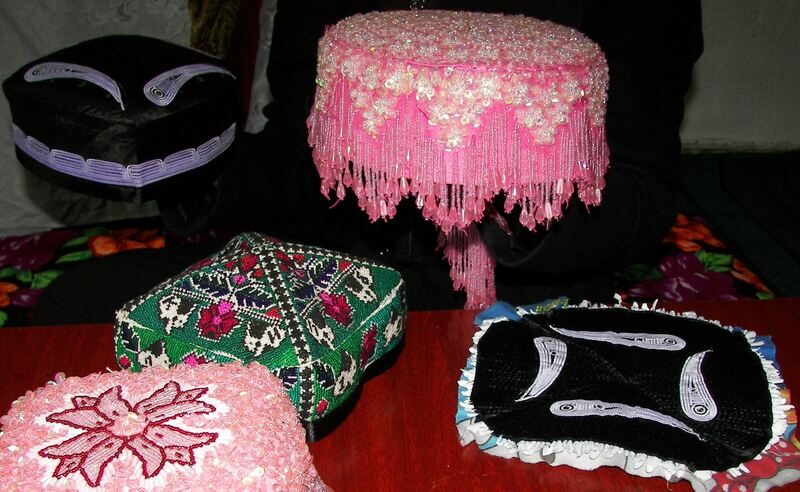 Mavluda had been hand-stitching traditional Tajik men’s hats, which are part of her business as a hat maker. Should you lend via Kiva’s for-profit Field Partners?